Keyboard cover offers easy typing with QWERTY key layout and backlit 7 color keyboard. Top row of buttons has 14 shortcuts to tablet's native functions. 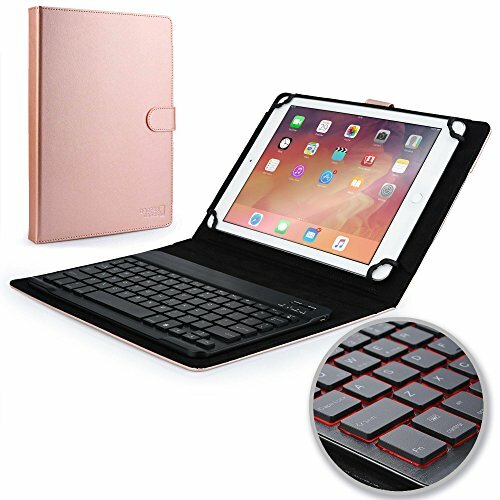 RISK-FREE PROMISE - If this case doesn't make typing on tablet easier, doesn't convert your tablet into a laptop, doesn't make you work & study faster and doesn't ''WOW'' your friends with backlight display, then you are entitled for a full 100% refund - no questions asked! All stock shipped from USA. Next day delivery available with Express shipping (excl. remote areas). If you have any questions about this product by Cooper Cases, contact us by completing and submitting the form below. If you are looking for a specif part number, please include it with your message.